The new building and its fit out is an exercise in the joy and wonder of being willfully deceived. 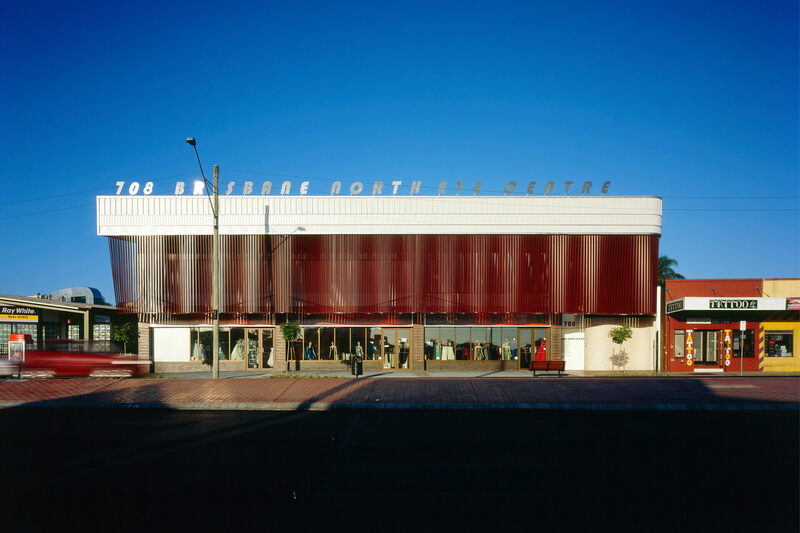 The Chermside Eye Centre is set on the site of the late Chermside picture theatre. The client’s brief was to retain a sense of the building’s previous use, to provide an accessible and comforting environment for his patients, and to allow for retail space on busy Gympie Road. A raised awning and a new eastern screen set off the building provides a semi-enclosed external space above the footpath. 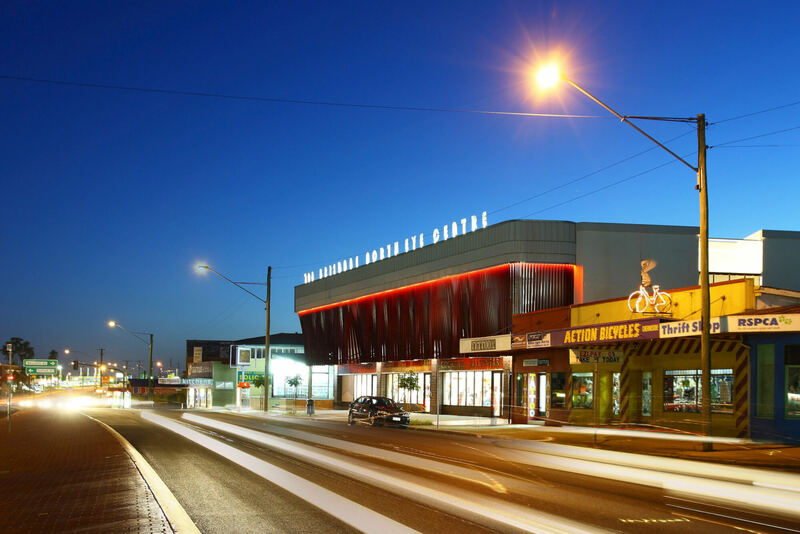 This gives pedestrians a visual connection to both the ground level retail, as well as the eye clinic, which is situated one storey above Gympie Road. 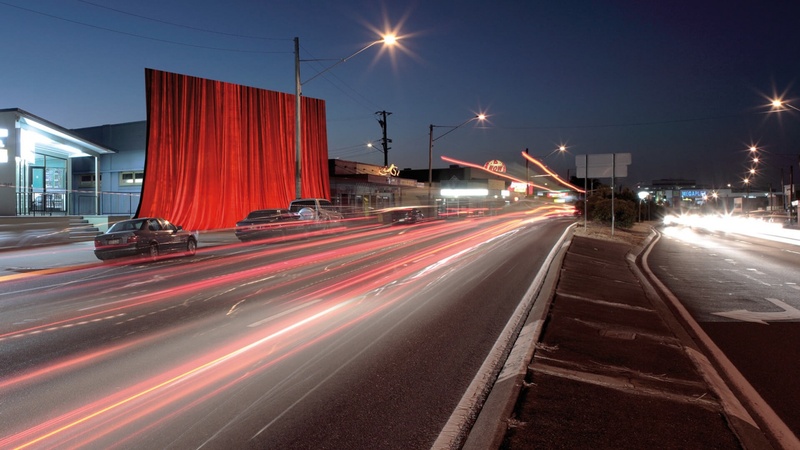 Aluminium sections are used to form an undulating screen that appears draped over the street — an oversized curtain that creates a rich experience and protects pedestrians from the harsh sun. Inside the clinic, traditional mouldings such as timber skirtings, cornices and picture rails (like those found in the houses of the surgery’s aging clients) are used to make joinery. 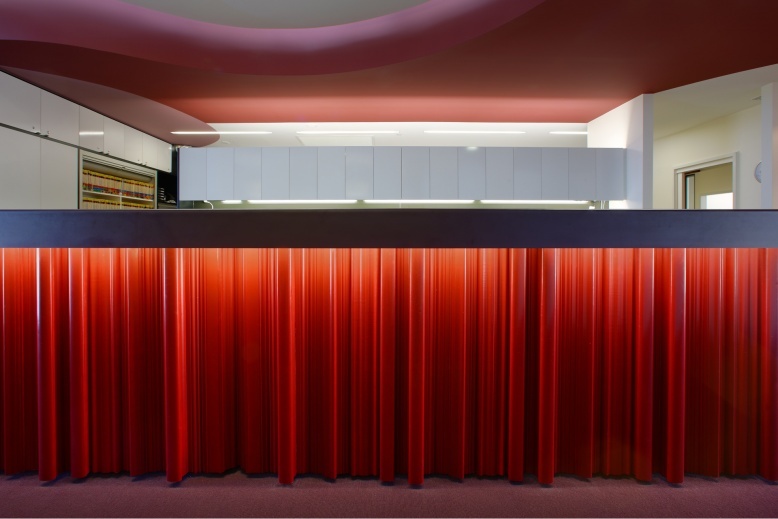 Each joinery piece appears as if a curtain or hanging screen was installed. On closer inspection, the fading eyesight of the patient is challenged to see (and feel) the mismatch between the soft sinuous forms and the hard surfaces of the timber mouldings. 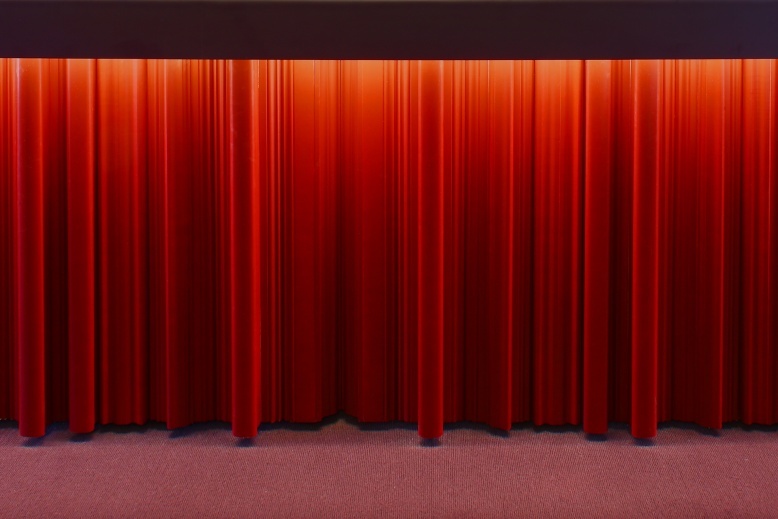 The visitor’s eyes are tested to see if they can uncover the visual tricks being played upon them, within an unexpectedly familiar, comforting and playful environment. This project references the site’s past use, as well as a new type of theatre.